BOLOGNA -- What makes David Lane’s latest work unique is his thoroughness. Whether in his dealing with former Prime Minister Romano Prodi, his examination of the Ferrari brand and Chairman Luca Cordero, chronicling the development of fashion houses such as Salvatore Ferragamo and Ermanno Scervino, or investigating the contributions of Gli Uffizi to Italian style, he leaves no stone unturned. Lane’s lack of dependence upon secondary sources really stands out in ‘The Fashion of These Times: How Italian Style Conquered the World.’ Conducting the majority of research himself, his book is littered with anecdotes and interviews which at first glance appear unrelated; the writer always manages to guide the reader to a seemingly inevitable conclusion, enabling them to really get to grips with the country. He displays a great deal of sensitivity and cultural awareness, achieving a level of insightfulness and expertise regarding Italy, which few foreign writers can equal except perhaps for John Hooper in ‘The Italians,’ and David Gilmour’s ‘The Pursuit of Italy: A History of a Land, it’s Regions, and their Peoples.’ Lane’s analyse of the history of Italian style is incredibly detailed and factual, drawing on his many years living and working in Italy as a correspondent for newspapers including The Economist, Guardian, and Financial Times. 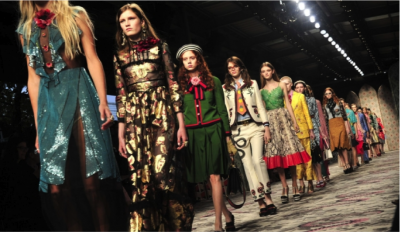 ‘The Fashion of These Times’ takes us back in time to really get under the skin of the glamorous world of Italian fashion, revealing both humble origins and family ties, reliance upon innovation and ingenuity, and an unwavering commitment to quality and luxury which goes into the made in Italy label and price tag. 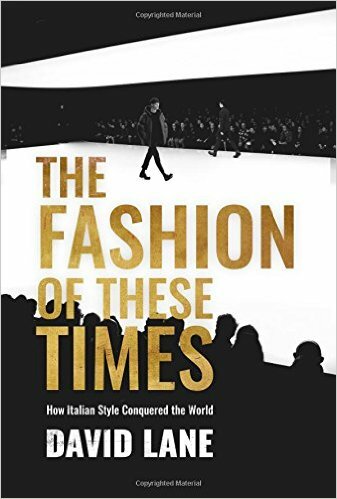 ‘The Fashion of These Times,’ follows a similar structure to Lane’s earlier work ‘Into the Heart of the Mafia: A Journey through the Italian South,’ weaving across the country to assess the significance of different geographic regions. However, his latest work focuses predominantly on Northern Italian cities, such as Milan, Bologna and Florence, and the impact that they have had in shaping a different important aspect of Italian culture - style. A Bible for the fashion ignorant, Lane assumes little prior knowledge of Italian industry, yet neither does he patronise those who are more knowledgeable. It is an essential read for anyone with a passion for anything Italian, and for those who are seeking to discover more about high-end designer brands.